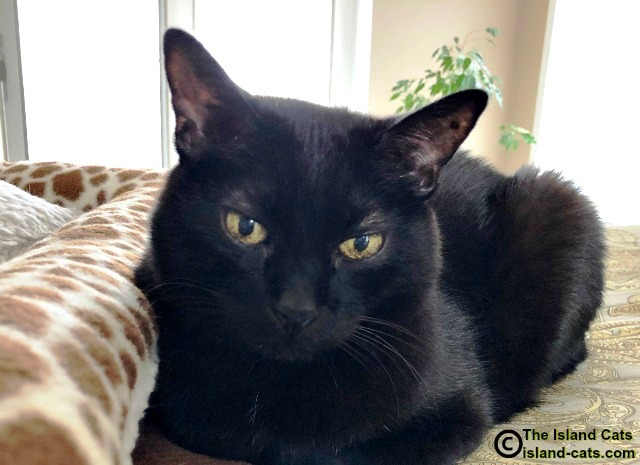 Easy E’s First New Home Selfie Sunday – The Island Cats…Every Cat wants to be an Island Cat! Hi guys! Have you missed me? Well, here I am…in our new home. Lemme tell you…it’s been quite the week…with moving and adjusting to all the new sights and smells and sounds in this new house. Right now, I’m taking a breather from all the exploring I’ve been doing. This place is bigger than our old one…there’s so much to explore! We’re all doing okay so far. Me and Wally have full run of the house. Zoey, however, has decided she wants to live under the bed in her room now. She dive-bombed under there so fast and only comes out to eat and use the facilities. Oh I know…she’ll come around eventually. The mom is still pretty busy with unpacking and all the other stuff to be done around here…so we won’t be back to our normal blogging schedule just yet. But I wanted to do my first new home selfie. We can’t wait to share our new adventures with all of you! We’re glad to see you in your new home! It’ll take a bit of time for the “dust” to settle, as it were. We hope Zoey will relax and settle in too, sooner than later. Purrs to you all. Moving is so much work but once it is over it is so nice to relax in your new home. I hope you all enjoy your home and look forward to seeing Zoey out and about. I am glad you are all moved in and getting used to your new home. I hope Zoey soon decides to come out and explore too. Congratulations on the new palace, and bigger surely is better if you have more fun. Hope the unpacking goes ok, and that you are up and running very soon. PS, does the new palace have hot and hot running mice? So glad hear that you are getting all moved in. Your selfie is just terrific Ernie. You all have fun exploring the new place. Great new home selfie, Ernie! That room sure has a lot of windows! We are so happy for all of you! Purrfect Selfie Ernie! Well come to yore mew home…. Zoey mee hopess you will come out from UTB soon…yore mew place lookss furabulss! We have missed you, Ernie. Glad you’re settling into your new place and hope Zoey feels more comfortable soon. Of course we missed you! Can’t wait to see more pics of your handsome self in your new digs. Hopefully we’ll see some of Zoey out from under the bed soon too – poor baby. Woohoo Ernie and Wally so glad you have moved in and found your place in the new abode. Fingers crossed Zoey will eventually find her way to the top of the bed. Glad you are enjoying your new mansion. Nice selfie, Ernie! It sounds like you and Wally are enjoying your new pad! I’m sure Zoey will come around eventually. We’re glad you’re having fun exploring your new home! Great selfie! Welcome Home, Ernie! You and Wally just enjoy your new territory, and we know that Zoey will figure it all out sooner or later! We can’t wait to hear more, Ernie! You sure look happy. And as for poor Zoey, maybe you remember that when we moved here, William was so mad at our mom that he hid in the cabinet under the bathroom sink for eons. It’s good to see you, Big E! We’re happy you and your brother are settling in nicely, and hope Zoey will adjust soon too. Unpacking is a lot of work, so we’re sure your Mom is still quite busy! That’s a terrific selfie Ernie and I’m glad you boys are settling in. Tell Sister Zoey all will be okay. Lots of work to do to get yourself comfortable in your new digs. All that explore you have to do too. Good for you. I’m glad you’ve all settled into your new home, Ernie. Poor Zoey. Hopefully, she starts to feel comfortable soon. I bet it’s fun exploring. Say hi to Wally! Great job Ernie. Glad things went well on the move! YES of course we’ve missed all of you!! That’s a great “new home” selfie Ernie – you look laid back and cozy. Glad Wally is enjoying all the new space too. Zoey will realize she’s missing out on the action and make an appearance to explore soon too. Change is tough on some of us! Happy you like your new digs. Can’t wait to hear it and see that view you have now! Wait a minute. Did they spray Feliway in all the corners??? That might help Zoey. And we are so happy you love your new home. So Exciting. Come out, little kitty, and see your new digs!!! Oh yeah…there’s feliway plugged in all over this place. Especially in Zoey’s room. looks like your new home has a ton of natural, beautiful light!! So glad you are settled in before the storm tomorrow. Zoey will come out soon I am sure! We’re so excited for you guys! Hey there Ernie, you sure look relaxed for a kitty who just moved to a new home. We’d be up on the ceiling exploring and sniffing. But NOT under the bed! Tell Zoey things are no fun at all under there. Seriously, we are wishing you all a blessing for your new home. Woo! Hoo! And Ernie…what a GREAT selfie! I, Marvelous, have never moved with Mom, Ninja has had 2 moves, one from the condo where he lived with his Dad (and sometime Mom and Queen Penelope) to an apartment and then, 2 years later to here with his dad (and Me, Marvelous and Mom). He says Moving is an adventure! He was tearing around and exploring right away. Me, I think I would be more like Zoey…UTB except for food and facilities! I can’t wait to read more about your new place! You are looking so good there! Glad the move went OK.
Good to see you! Happy homecoming! I hope the beautiful Zoey will come out soon, but it’s good she has her safe place for now. Hope you all settle in and get comfy cozy very soon! Great selfie, Ernie. And your new house really looks very nice! Great selfie Ernie, we are glad you are enjoying your new home. We are sure Zoey will come out from under the bed eventually. Can’t wait to hear about how you are adjusting to your new home! Oh, I bet there’s all kinds of new places to explore — closets, hidey holes — and new smells. I can’t wait to hear all about them, Ernie. Zoey is just taking in the new environment in her own way. She’ll be OK — I just know it. Hugs. 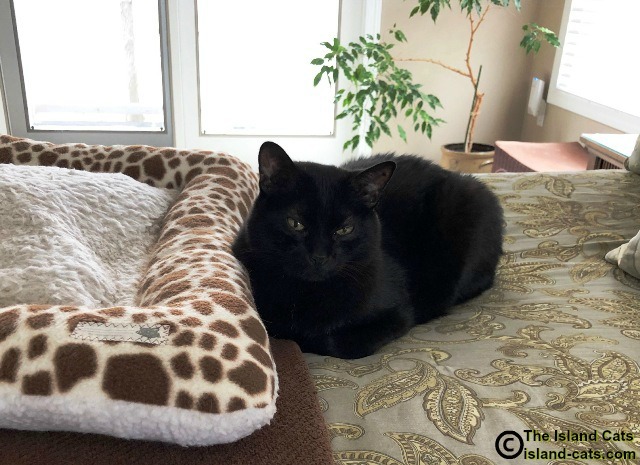 You seem to be adjusting well, but I get the hint that the cat bed should be moved to the right about a foot! We are happy to see that the move went well. Looks like adjusting to the new place and the new smells will take some time. Thanks for sharing the update. Have a wonderful day and hope you have all unpacked everything soon. Very handsome selfie. I am glad you like your new home. Hi Ernie! It’s great to see you. Your new home sounds just lovely! Zoey will come around soon, we’re sure of it. Handsome as ever Ernie!! SO happy to hear that everyone is adjusting to the move–though some slower than others! Stay warm!! I’m glad two of you have settled in to your new home. Hopefully Zoey will feel more adventurous soon. Maybe you can help coax her out from under the bed. It will take time, Ernie. I’m glad that you discovered the new home and had a good run. Still handsome. Have fun exploring. I hope that Zoey starts exploring soon! We can’t wait to see more of your new home! It looks pretty sunny and light-filled. Seriously good news that you like the new place! May the new food spot be great and the new litterbox spot be greater! And may sunpuddles come in through all the windows! Nice to see you again, Ernie. I’ll bet exploring has been fun.